At this time of year I get a little apple crazy. It seemed like none of us could rest until we got to Whittier Farm to pick Honeycrisp. We are lucky to have Whittier Farm in Rochester - they are a co-op of the University of Minnesota, and they were hand selected to grow the hybrid apples developed by U of M.
What could be so unique about an apple? 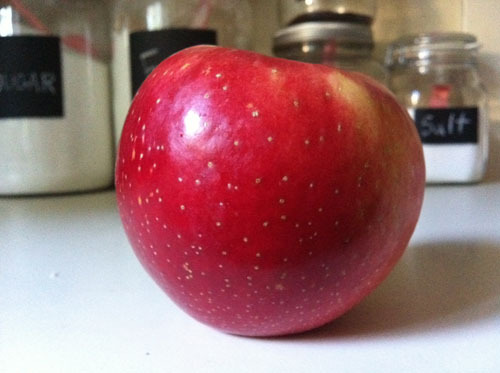 The Honeycrisp was deleloped with a special characteristic. "This one-of-a-kind apple gets its great eating character from its uniquely oversized cells. While the flesh of other apples cleaves between cells, leaving the cell walls intact, when bitten, Honeycrisp’s extra-large cells burst open, releasing a mouthful of juice." Woah. Now there is a new designer apple - SweeTango. It's even making the news. 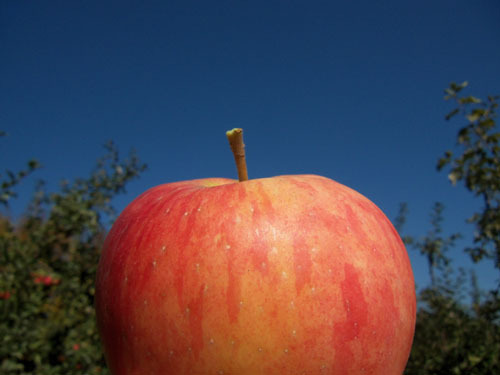 The University of Minnesota created it by combining Honeycrisps with Zestar! (the ! is part of the name) I love that the Zestar! is known for..."The side of the fruit facing the sun develops a sweet spot that’s brighter red and wildly flavorful." SweeTango even has it's own logo. You can't pick SweeTango yet but you can buy them at Whittier and Wegmans. You've just posted about my 2 all-time favorite apple varieties. I have a bag of Honeycrisps in my fridge right now! I tried SweeTango for the first time just a couple weeks ago, and it was wonderful. Your post made my mouth water! I've been following your blog for years now and have always been intrigued when you talk about the Honeycrisps. I finally saw them this week at Trader Joe's and the sweet smell was so strong I snatched up two bags! They are freaking delicious! My stomach and mouth thank you.